Essential oils are a booming industry that’s making billions, and it seems like everyone wants to be in on it. New brands are popping up left and right, and it’s difficult to decide on the right one even if you’ve been into essential oils for a while, let alone if you’re a newcomer. Fake essential oil brands are everywhere these days. Do you go with an old and reliable brand or pick a new startup that seems promising? Are products from a larger company better or are more personalized offering from a smaller brand better for the consumer? Take a journey with me today through the identity of some of the best essential oil brands and their best products, while also finding out what makes an essential oil brand good, to begin with. Let’s say you’ve never heard of essential oils before you stumbled upon this article or you’re familiar with them but don’t know a lot and want to find out more. I’m going to give you a brief introduction to get you started. 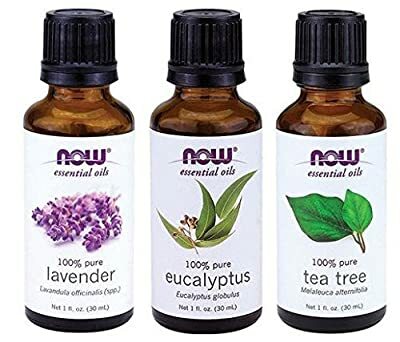 If you’re already in the know, you can skip to the reviews of the best essential oil brands below – otherwise, keep reading. Essential oils are chemicals extracted from plants through one of a few different methods – usually steam or water distillation – and combined with a carrier oil to be ready for use. They usually don’t feel oily at all – they’re just called that because, chemically speaking, they are made from the oil-soluble chemicals extracted from the plant. Most of them are rather thin and clear and mix well with water. You can use essential oils in a wide variety of ways. They can be used topically, diluted in water and used in a diffuser that turns them into mist and spreads them around the room, they can be mixed with massage oils and use for massages and so on. You can use individual oils or create different blends with different beneficial effects to get exactly what you need out of your oils. Essential oils can be extracted from a lot of different plants, and each of those oils will have different benefits and aromas. Even oils extracted from different parts of the same plant – for example, the bark and leaves – can have different properties. But, what kind of beneficial properties can oils have? Well, there’s too many to count, but I’ll talk about some of the major ones in the next section! Essential oils are in a bit of a gray area, but there’s a lot that they can offer you despite their questionable reputation. After all, once you see all the potential benefits, you can decide for yourself – and that’s what I’m going to tell you about right now! Certain essential oils can relieve your fatigue and give you more energy. For example, if you’re feeling fatigued after a workout, they can help you recover faster. You can also use them to help you focus on a certain task – whether it’s work, studying or something else. They also reduce the stress you’re feeling and improve your performance in tasks where you would otherwise be hindered by the stress you’re feeling. It’s been proven that essential oils and aromatherapy can help improve your mood by stimulating your body to produce endorphin, serotonin and other ‘feel good’ chemicals. This isn’t just a booster when you’re feeling down – it can help with depression and anxiety disorders. This is because certain essential oils like lavender, for example, have a profound effect on the nervous system. You can reap these benefits by using essential oils daily. If you’re suffering from chronic pain and looking for relief without necessarily using medication, essential oils are a good option. Aromatherapy has been proven as effective for reducing the level of pain you’re feeling, and multiple substances found in essential oils have analgesic properties. Using essential oils can help with things like chronic joint pain from arthritis or menstrual pains and more. These are things that people struggle with during their entire life and where medication can be ineffective. If you don’t know what to do about your pain, consider essential oils as a viable option. Essential oils are already well-known for their antimicrobial, antibacterial and antifungal properties. Even small amounts of these oils can have beneficial properties on your home, thus helping with the health of everyone living in it. Certain oils are better than others at killing bacteria or other microorganisms, but most of them have these beneficial properties in one form or another. They will also have these properties no matter how they’re used. This means that you can diffuse your oils, use them directly on your skin and so on and they’ll still work on destroying those invisible threats to the health of you and your family. Aromatherapy has been known to have a good effect on sleep patterns on people of all ages. Essential oils serve as mild sedatives and calming agents, allowing you to fall asleep faster and stay asleep. They will also reduce certain disturbances during sleep, like restless leg syndrome and muscle cramps, thus allowing you to feel refreshed when you wake up. These benefits are even greater if you’re diffusing the oils overnight and constantly inhaling them. If you’re looking for the basic info on each of the brands, look no further than here! But if you have the time to read more and want all the details, keep on reading to find out everything! I’ve picked only the best essential oil brands on the market right now after reviewing more than 50 of them – I’ve narrowed it down to these 10. 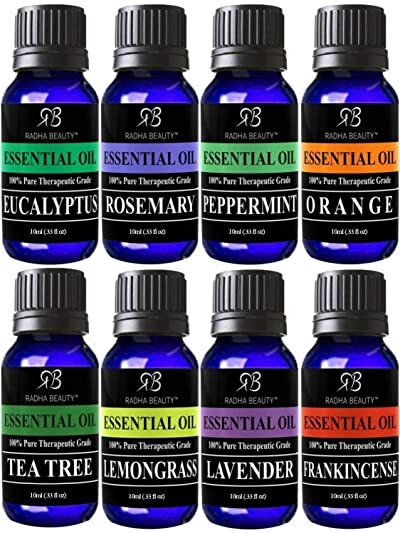 I’ll tell you my thoughts about them and their top products, warts and all, and give you all the info you need to choose the best essential oil brand for you. The focus of Plant Therapy has always been to offer quality oils at a reasonable price – but do they always succeed at that? The company was founded in 2011, just around the start of the essential oil craze, when most of the big companies had unreasonably high prices and quite shady business models. They were supposed to be the alternative, and they managed to carve out a decent niche for themselves. The good thing about Plant Therapy essential oils is their transparency – they use multiple types of testing including organoleptic and GC/MC testing. They publish all the details about the testing process as well as the results, online, for free viewing. Every bottle of oil they sell has a batch number which you can use to view test results for that specific batch. Their customer service is top-notch as well, and they are always ready to respond to emails and answer customer questions. 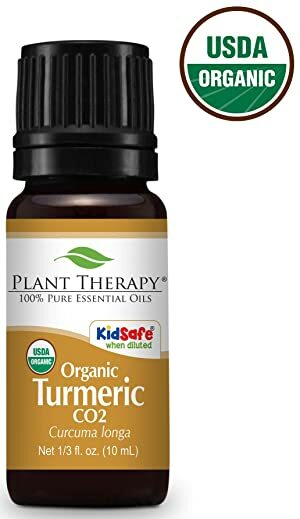 You can find Plant Therapy essential oils both on their own website and through Amazon at fairly affordable prices. They might not have the same wide range of products that the larger companies do, since they’re still relatively new, but they offer the transparency that almost no other company does with comparable quality and better business practices. Turmeric oil is known for having a lot of beneficial properties – from improving your concentration to reducing inflammations and joint pain. It’s great for use in blends for pain relief and relaxation. Compared to similar offerings, this bottle from Plant Therapy is more expensive than most, but it is completely organic and pure. It’s also kid safe but isn’t diluted like most other kid-safe essential oils are. The bottle is completely secure, and there’s no leaking or evaporation even after you open it. The smell is intense too so make sure to close the bottle properly. If you’re willing to pay the premium price, it’s a good choice. Most oils can be made to be kid-safe by diluting them enough, but if they’re already quite diluted, that will make them useless. More concentrated oils are better in that case. This brand has been in the game for around 10 years at this point, being founded in 2009. They’ve made quite a name for themselves during the decade, but has it all been good? They are definitely committed to their “EDEN pledge” which ensures that Edens Garden essential oils won’t contain any pesticides and will be 100% organic. They also strive to make their products pure and ‘therapeutic grade’ even though that phrase doesn’t have a lot of meaning. However, the main reason why they’re so attractive is their wide assortment of oil blends, expertly curated and rotated often. They probably have the largest variety of blends on offer, and they all come at relatively affordable prices. For the most part, they stick to their promises, though they aren’t as transparent as some other brands. They do third-party testing on their oils, and they sometimes publish the results, but that’s inconsistent. Not all of their oils are organic too, so you do have to check the labels when buying and make sure you know what’s what. If you’re looking to get into essential oils, this set of blends from Edens Garden is a good starting point. The price is definitely better than with companies like Young Living or doTERRA, but it’s still a bit high to be sure. 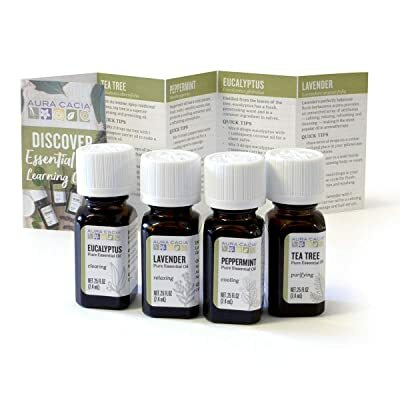 However, the blends you get in this set are all quite varied and show you all the different things you can get from essential oils if you choose to keep using them after this. While the oils do seem to be pure and organic, the bottles are a bit suspect and of poor quality. They might start leaking if you’re not careful and waste your oils — not a good look. Overall, it’s a good gift set or starting set for beginners, and you’ll definitely get a lot of value out of it. 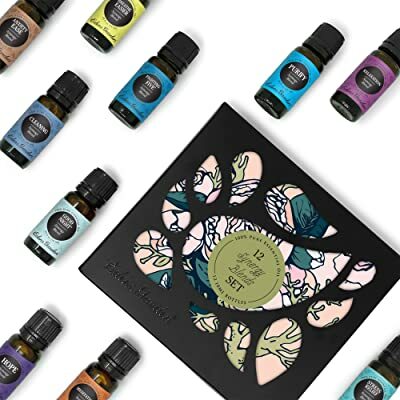 Starter sets of oils can be great gifts, even for people who are not into essential oils – or at least not yet! NOW foods is an old brand – they’ve been around for half a century after all. However, they’ve only gotten into the oil business relatively recently. Can they offer the same quality as brands dedicated to making essential oils? The good part is that they tend to be rather transparent. They do a lot of testing in their in-house laboratories and with third-party companies, and they publish the results online for everyone to see. Their labels are good too and contain all the info you might want to see – how the oil was made, where it comes from, which plants were used and so on. Due to their clout, they also tend to steer clear of marketing terms that try to cover up the truth – they give it to you straight. Their oils are well-made from high-quality ingredients, and that’s why they have nothing to hide. The problem with them is that their oils are expensive, more so than most. You can buy them freely, and you always know what’s in them, which might be a plus worth paying for. This set contains the essential essentials, some of the most used oils on the market – tea tree, eucalyptus, and lavender – in an affordable bundle. These are large, 30ml bottles and you’ll get a lot of use out of them. While these oils aren’t quite as high-quality as some of the others on the market they’re more than acceptable and they’ll do the job. The bottles are also good and keep the product safe. The labels have most of the info you might need. For a starter kit, this isn’t too bad, but the oils are noticeably weaker than those of other brands, with the exception of the tea tree oil which seems stronger. The customer service is great – you’ll get the product quickly and in great condition. Overall, it’s a good budget or starter option for most people. If you buy weaker oils, try not to dilute them as much as you otherwise would – that way you might get a similar experience as you would with stronger ones. This company was founded with the intention of providing affordable, authentic essential oils to the consumers. Has it succeeded? Let’s see. They certainly have some of the best prices around and, combined with the safety nets they offer – including a 90-day money back guarantee – makes them the greatest budget option out there. Their prices are not the cheapest, but the money-back guarantee makes them safer than others. The shipping for their products is always free too. However, this also shows the confidence they have in the quality of their oils. Their products are completely pure and rigorously tested. They offer the information about the tests freely, and each product has a label that allows you to check the testing results for that specific batch online, much like Plant Therapy does. The variety of products they offer isn’t as high as with some other brands, though and their website is a bit antiquated and difficult to navigate. 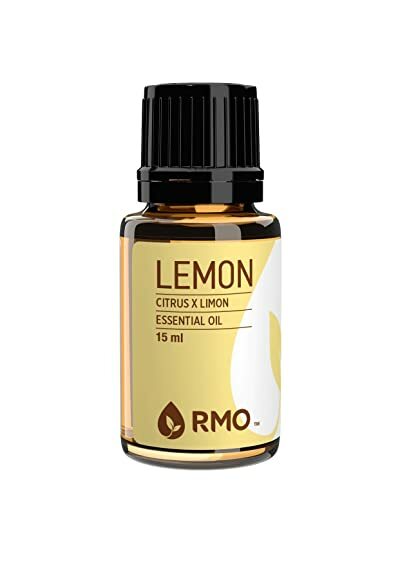 Lemon oil is a classic favorite, and this one from Rocky Mountain is probably one of the best you can find. For starters, the price is more than affordable, and it comes with free shipping to boot. It’s definitely better than the competition in that regard, and you can return the oil within 90 days of ordering if you haven’t opened it. If you happen to order multiple bottles and don’t like it after trying one out, that’s great. The bottle itself is good and won’t leak, while the oil is fairly concentrated and has a strong smell. There are stronger lemon oils on the market, but this is definitely among the best ones. It is organic and natural, but it’s not as concentrated as other brands, and there’s no going about it, but it is a great budget option and better than most. Free shipping is great whenever you can get it but just be aware that there might be some delays involved in that case. Young Living is probably the most recognizable essential oil company out there – even people with no interest in essential oils have probably at least heard of it. However, being the most recognizable brand doesn’t always mean being the best. During the 25 years that it’s been in business, Young Living has had a lot of ups and downs, but it’s managed to survive through everything and is still considered to be one of the best brands out there. The main reason for this is due to the quality of the oils they offer and the wide selection of products they have, though some may argue that it’s simply because they came early to the party. Besides essential oils, they also offer a lot of other equipment – diffusers, supplements, beauty products and so on. Their customer service is great as well, and they regularly respond to customer questions and emails. The largest sore point about their business practices is the multi-level marketing model they adhere to. You can still find their oils out there in the wild, in a limited form but to get a decent price and access to their entire product line you need to get them from one of their distributors or buy into the system and become a distributor yourself. They’re also not as transparent as I would like. You’ll rarely find any significant details about their testing methods or the results of that testing. This is an amazing blend from Young Living that smells great and is particularly good for eliminating nasty scents. Your pets might not like it since it has a lemony odor, but it’s great otherwise. The blend is also great for help with acne and swelling, or bug bites. It comes in a perfectly sealed bottle that is guaranteed not to leak. The oil itself is pure, organic and as concentrated as it gets. The bottle also gives you all the info you need about the product. Of course, like all Young Living essential oils, this blend is exceptionally expensive – you’ll easily find alternatives that are three to four times cheaper. However, they won’t be as pure or as concentrated, so it’s up to you to determine if the quality on offer here is worth the price. Buying blends is great when you want specific ones, but you can usually make most blends yourself if you know the ingredients and at a fraction of the price. This company was founded in 2008 by some high-level ex-employees of Young Living, dissatisfied with the business practices of the company. Though some might say, they just wanted a bigger piece of the pie? It’s tough to know for sure. What we do know is that doTERRA uses much of the same practices that Young Living does – a multi-level marketing model, made up labels (certified pure therapeutic grade in this case) and high price points. They do offer a wide variety of products, more than able to rival any other company and that includes additional gear like diffusers, supplements and so on. Their oils are of good quality overall, though their testing practices are a bit on the shady side but no worse than YL. What I can say is that they have a loyal following of people who seem to like their products a lot and are willing to pay premium prices for them. That seems to be at least some proof that they’re doing something extremely right when it comes to the products they make. 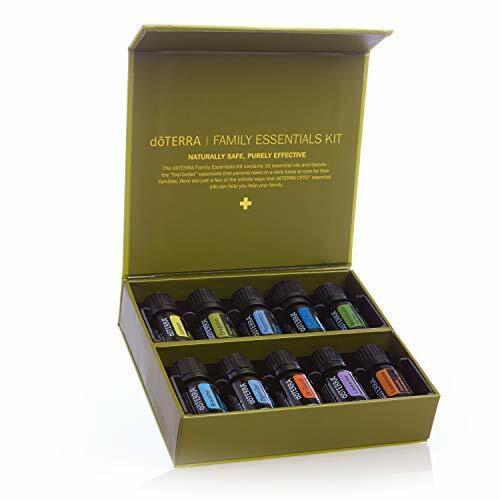 This is a starter kit filled with ten of the best doTERRA essential oils, allowing you to mix and match them and create your unique blends. It includes the following oils – Lavender, Peppermint, Lemon, Oregano, Melaleuca, Frankincense, DigestZen, Deep Blue, doTERRA Breathe and doTERRA On Guard – all in well-sealed bottles of 5ml each. The bottles are stashed in a well-made plastic case. The set is expensive for sure, but the oils you get are highly concentrated, completely pure and organic. Some of the oils are better than others though – oregano is a particular standout while the peppermint is quite weak. Overall, the quality of the products is good and you can side-step the MLM scheme of doTERRA by buying them this way, but the price is steep. When buying packs of oils, you might get some that are great and some that are not as good. Aura Cacia is a part of a larger company that’s completely member-owned – anyone can become a member by pledging 10 dollars and get 10% of the products from the entire Frontier Co-op company, which owns Aura Cacia as well. They will also give you a 5% annual rebate on all purchases. Due to that they need to be transparent in their practices, and they try their best to publish all of their testing results – but you do have to be a member to see most of them. They are willing to reprocess their oils to make sure they meet all the required standards, no matter the cost. They have had a few brushes with the FDA, including a recall of some oils due to elevated microorganism count but they owned up to it. But this does mean that their testing methods aren’t perfect. Still, their oils are good overall, and they come at relatively decent prices when compared to most other companies. Their unique business model is also a plus. In this set, you get four of the most commonly used and versatile oils from Aura Cacia – lavender, peppermint, eucalyptus, and tea tree. All of them have a strong smell, and they’re completely pure and organic. Sadly, the bottles are not that well made. They break easily, and they might arrive broken, with oils leaking out of them. It is a shame overall, but the oils themselves are good. The price, however, is just a steal since these are 7.4ml bottles. Overall, it’s a good deal for oils of this quality. Sometimes it’s worth it to buy good oils in bad packaging – you can transfer them to better bottles as soon as they arrive. This is a relatively new company that started up somewhere around 2013 and has experienced incredible growth in the years since. They don’t specialize in oils – they offer a wide range of beauty and self-care products as well. For the most part, it seems like they try to be transparent with their testing processes and they post all third-party test results on their website. However, some independent tests by consumers have revealed that their oils are not quite as pure as you might think. They are cheap though, probably one of the cheapest brands on the market right now, so that is to be expected. Their labels don’t tell you nearly everything you would want to know, though. Their customer service is good though, they will respond to questions and requests quickly, and they try to be as accommodating as possible. You can also return their products if you don’t like them – the return window is 90 days, and they must be unopened. 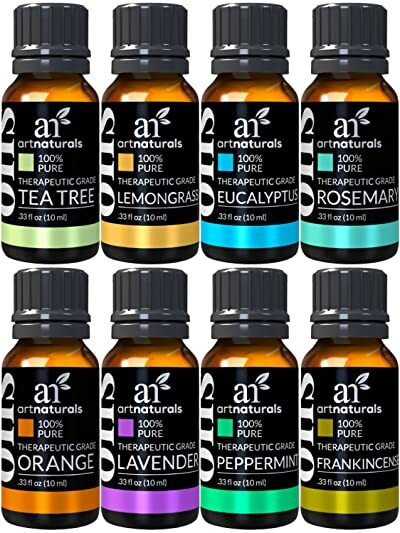 Here’s a set of some of the most used essential oils from ArtNaturals at a price that’s just a steal. The oils in question are – lemongrass, orange, tea tree, eucalyptus, rosemary, lavender, frankincense, and peppermint. But, are the oils any good? Well, they do have a lighter smell than more expensive oils do, and it’s not difficult to see why they’re so cheap. The customer service is not that great either – you might get duplicates by accident, and you’ll get a replacement if you return them, but it might take a while. Overall, a decent budget option and they might work well if mixed with better oils, but they’re a bit underwhelming by themselves. Buying oils that aren’t quite as good for a lower price and using them to create blends with more expensive oils can be a good way to save money and to still get most of the benefits you want along with a strong smell. This is quite a fresh company, founded in 2014, but they were off to a great start. They offer a wide assortment of products, not just oils, and you can get great prices from them by joining their club. Their oils seem to be fine, and people are satisfied with them, but there’s a definite lack of transparency on their part. They claim to do internal testing, and there were some claims about third-party testing, but it’s all difficult to substantiate, and you can’t find most of the results. There have been claims that their oils are mostly synthetic and Radha hasn’t done much to dispel those rumors. If you join their club, the prices they offer are great so if you’re on a budget, these oils might be a good option, but their quality is in question. Radha’s quite good with customer service, their products ship quickly, and they’re open to most questions. That’s one of the reasons why a lot of their customers are satisfied – well, that combined with the great prices and a wide range of products. They do offer a lot of specialized oil blends, more than most companies. If you’re into that and want it to be cheap, Radha is probably your best choice right now. With this starter set from Radha, you get almost everything you need to make amazing blends and get started in the essential oil world. It contains rosemary, eucalyptus, orange, peppermint, tea tree, lavender, lemongrass, and frankincense. The bottles they come in are sturdy with good lids that will keep them secure – the case you get them in is also good. However, you can tell that the oils are cheap when you start using them. They do seem weaker than other brands, though they’re not as bad as the extremely cheap ones. The customer service is also lacking – you might get a shattered or empty bottle delivered to you in the pack and Radha won’t answer most return requests. Poor, to say the least. When you’re buying essential oils, always check the warranties and return policies that you’re entitled to in order to avoid getting cheated out of your money. Mountain Rose Herbs has been around for a while – it was founded all the way back in 1987 – but they didn’t start selling essential oils on a large scale until fairly recently. Does their long history give them an edge in this new business? Well, they have been doing fine so far and have made a commitment to producing organic oils that are good for the environment. Their labels are completely transparent and contain all the info you would want to know – where the plants were grown, where the oil was made, how it was made and so on. They do perform a lot of tests on their oils, more than almost any company out there – however almost none of the test results are public knowledge, which is a strange contradiction. You can get some of the tests results for specific batches by entering the numbers on the bottles on their website, which is good but they could still be more transparent. Their products seem to be good though, and the customers are satisfied with them. They also offer a wide assortment of them, and the prices are not too bad either. However, their customer service is a bit lacking, and their shipping is abysmal – both slow and expensive. 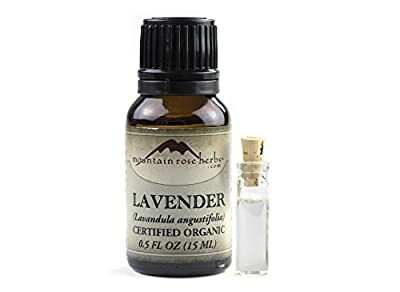 Lavender is one of the most useful essential oils around, and this offering from Mountain Rose Herbs is more than decent. The oil itself is of good quality overall, and the smell is certainly strong, and they say it’s certified organic, but it’s difficult to tell if that’s true. The bottle is good and secure – nothing will be leaking or evaporating. The price is not too good; you can certainly get better oils for that sort of money. The shipping policies are also quite bad, and you might wait for weeks before you get the bottle delivered to you. Lavender tends to blend well with almost all other essential oils – there’s a good reason why it’s so popular, and it has a ton of different benefits. If you’re not keen on any of the companies I chose and you’re looking for one that will fit you better – that’s completely fine. In that case, I’ll give you a few pointers that will help you distinguish reputable essential oil companies from those producing poor products or those that are trying to scam you out of your money. Brands that don’t want to be transparent will avoid putting this info on the label in favor of words like ‘pure,’ ‘natural,’ ‘clean’ and so on – which have no substantial meaning. Now, some bottles and labels are small, and it’s difficult to put all the info on there, I know. But the information should at least be available online; there’s no excuse for that to not be the case. You should also be able to find most other info about their products online – are they non-GMO, cruelty-free, organic or nonorganic and so on. Companies that run some sort of scheme or have products that wouldn’t fare well against the competition tend to restrict the sale of their products to certain outlets or private distributors, or might even require you to sign a contract with them in order to buy their products. Reputable companies usually try to be transparent, and they let their products speak for themselves in the open market without any restrictions. If they allow you to test their products as well, that shows incredible trust in the quality of their products. Don’t believe those that tell you that it’s not true. Only extremely small companies get any leeway on this matter – it should be expected that most large companies should run multiple tests on their oils. More reputable companies will run both internal and third-party tests for their oils, which shows confidence in their products. If a company is hiding the results that come in from testing and expect you to just take them on their word that their oils are good and pure, they’re probably not honest. These companies will usually try to hide behind a made-up label that sounds technical and official but means nothing in practice and was invented by the company itself. If a company allows you to return their products and get a full refund if you’re not satisfied, that probably means they know you’ll be satisfied and their products are good. By the same token, if they’re getting a lot of good reviews and their customers are satisfied overall, they are probably above-board. Always check out the negative reviews though and see if the complaints in there are something valid or just sour grapes. Overwhelmingly positive reviews on sites like Amazon can just be a result of people working for the company posting a lot of positive reviews. This is another no-brainer. Some essential oil companies have rather shady practices, which is why there might be up to 10 different lawsuits running against them. You can give a company leeway to have a lawsuit or two against them since major companies tend to get sued all the time for nebulous reasons. But if they have a track record of getting sued all the time, something is up, and you should avoid them. The worst essential oil brands will also run smear campaigns against people suing them. When talking about essential oil brands, there are a few burning questions that seem to arise quite often. So, today I’ll take the time to answer them for you! Can essential oils be dangerous? In certain cases, they can – if you’re using them when you shouldn’t or in the wrong way. You shouldn’t ingest oils which are not for internal use, you shouldn’t use them past their due date, you shouldn’t use them on babies, and you should avoid using them if you have epilepsy, asthma or a similar condition and so on. If you think your condition might make them dangerous, consult with your doctor before using any. Are essential oils safe for my pets? There’s not a lot of info on this matter around, but for the most part it doesn’t seem too pleasant for most pets. Dogs and cats have a much more sensitive sense of smell than humans and strong scents from essential oils can make them feel queasy or irritated – citrus oils in particular. Try not to expose your pets to undiluted essential oils in any form and to limit their exposure to diluted oils as well. If you use a diffuser keep it in a room where your pet doesn’t often go to. That depends on the oil. Some essential oils can be used internally, and some even come in pills, specifically for internal use. Be aware that this has nothing to do with the quality or purity of oils – some oils are more toxic if they’re purer, for example. That’s just a myth and whether an oil is safe for internal use simply depends on its chemical composition. For the most part, yes, but you should be careful with it. You shouldn’t use them on children younger than two, you should always use diluted oils, and you should always consult with your child’s doctor before using them. Always keep your oils out of reach of your children, for their safety. Is it safe to use essential oils during pregnancy or breastfeeding? This is quite a controversial topic – some people claim it’s completely safe while others think oils can damage the fetus by crossing through the placental barrier. So far, there’s no concrete evidence for one side or the other, but I’d err on the side of caution and say that you shouldn’t use them or you should at least consult with your doctor before using essential oils. Can essential oils go bad? Yes, they certainly can. There’s a common myth that they can’t go bad and they just get better with age. The truth is that essential oils can and will spoil after around a year to six years, depending on the type of oil. They can spoil even before that if you keep them in hot, wet and bright conditions. What to do if I get a rash from an essential oil? Stop using your oil and visit your doctor. You might be having an allergic reaction of some sort, and it could be dangerous. Redness or a rash on the skin doesn’t mean that your skin is ‘just detoxing’ or anything similar – that’s not something that happens, and you shouldn’t push through it and keep using the oil. Get checked out instead. Should I use essential oils if I have cancer? 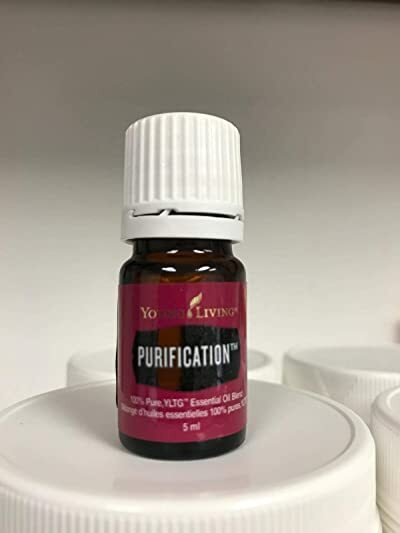 This is a highly controversial topic since some essential oils have been proven to stop the growth of cancer cells in lab environments, but not on subjects with cancer. In fact, there’s some evidence that some oils might even counteract the effects of chemotherapy and promote the spread of cancer. Consult with your doctor and listen to their advice before using any oils. At this point, you might be wondering – which one is the best essential oil brand on the market right now? Well, while I can’t offer a definitive and objective answer to that question, I can offer my opinion on the matter – and I think that Plant Therapy is the clear favorite. Their great business practices combined with quality products and awesome prices is why I like them so much. You might have a different opinion but, hey, that’s all good. I just hope you managed to find what you were looking for. If you’ve got any questions or just want to share your opinions pop into the comments – hearing from you would be great.